It’s been a joy to serve as your pastor this year as I’ve had a front-row seat to things God has been up to in our church. Just the other week, in fact, it was my pleasure to baptize three men who have been profoundly marked by our ministry over this past year. In July, Pastor Gary Anderson came on as our associate pastor, where he has given oversight to our young adult and growth group ministries (among others). He and his family have been a welcomed addition to our family, and it’s been fun watching you all love on him and receive his ministry. When I came here, our attendance was a little over 300, but now we see around 800 people on a given Sunday! Giving this year has increased from 2017, which is a real testament to your faithful generosity. 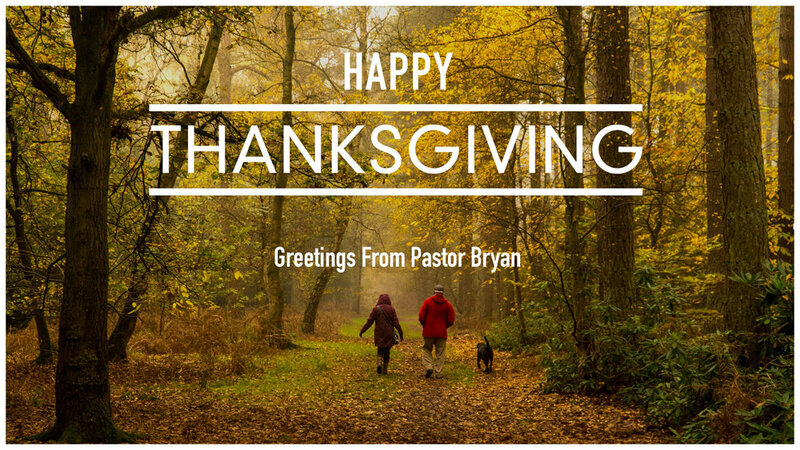 You need to know that I, along with our elders and staff, am deeply thankful! Last year in our annual letter, I shared with you that while we were running in the red, if we could finish in the black, we would take those excess funds and give it away through our benevolence fund. Well, God used you all in an extraordinary act of generosity, and we finished 2017 in the black. True to our word, we allocated those funds towards benevolence! It was our joy to help people in tangible ways this year who have fallen on hard times. For example, one family from our church was having trouble paying their rent and was looking at the prospect of living in hotels when the wife reached out in desperation. We were able to step in, give assistance and, months later, that family is on their feet and flourishing! This is your generosity at work! This is exactly what Jesus had in mind when He said that whatever we do for the least of these, we do to Him (Matthew 25:40). Most churches rely on extraordinary December giving to finish the year well. This has always been true for us. Currently, Abundant Life has been running in the red in 2018. When we talk about running in the red, you should know we aren’t using any lines of credit and going into debt to pay our bills. Instead, when we have a deficit, we dip into our savings. We’ve had to do that this year, and our commitment is, if we are able to finish in the black, we will take those excess funds to both reimburse our savings as well as to fund our benevolence for 2019. God will do it! My firm conviction is that core to the mission of the church is helping those who have fallen on hard times. This is the example Jesus left us. So will you spend some moments praying to God about what you could sow into our church that goes over, above and beyond your regular giving as we close out 2018? Just the other day, I was praying God’s provision for a friend who had fallen onto hard times. Well, not long into that prayer, it felt as if God was saying, “Don’t just pray about their need, do something!” It’s here where I’m reminded that God’s primary means of provision is other people. No, our faith is not in you, but in God. Yet God, I believe, wants to use you to help us help others. We trust God knowing that He will use you as a resource to provide for our needs. I’m so grateful to God for your partnership in the ministry!